Roasted beets are easier to make than you think! 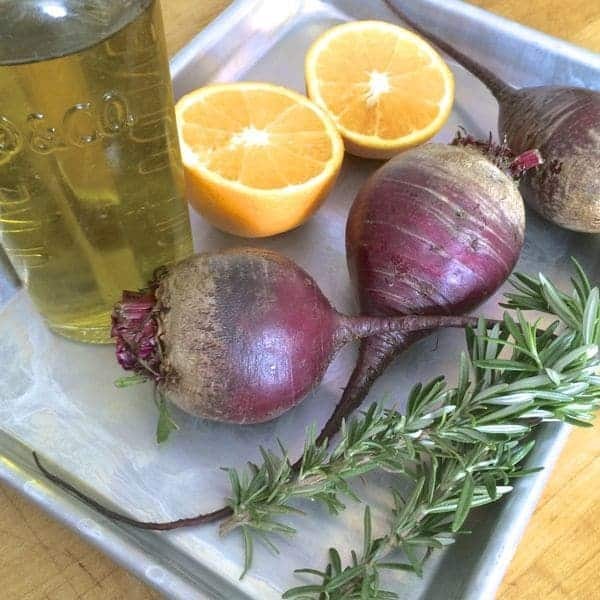 My simple recipe creates tender, sweet beets with a hint of fresh rosemary and orange in the background. Roasted beets have a special place in my heart. Believe it or not, my very first blog post involved roasted beets: Beets and Wheat Berries Make Me Happy. What can I say? I love beets and I wanted to tell the world. The truth is, so many people think they hate beets because they’ve only been exposed to bland, lifeless canned or boiled versions. I challenge anyone who thinks they don’t like beets to try this recipe before making a final decision. When you roast beets, you allow the natural sugars to caramelize and become sweet. Similar to the mellow flavor of roasted garlic, roasted beets become creamy and delicious with very little effort. Fresh orange juice and fragrant rosemary are thrown in the pan along with a little olive oil and a pinch of kosher salt before everything heads into the oven. Then you just sit back and relax while the oven does the work! Ready to get started? Your fork is waiting. Pre-heat oven to 425 degrees and line 8 x 8 baking dish with foil. Wash and trim the greens from the beets but leave the root in-tact as shown in photo. Place beets in the pan and cover with juice of one orange, rosemary sprigs, olive oil, large pinch kosher salt and a few turns of a black pepper mill. Leave the orange halves in the pan and cover tightly with foil. Roast for 45 minutes or until beets are fork tender. Let cool completely before removing foil. To serve, carefully remove skin with hands (should peel right off) and slice into bite-sized pieces. Beets will stain your hands red. If you wish, use kitchen gloves to prevent your hands from staining. I still think that it’s more like oven braising than roasted (liquid, foil) but heck yeah I love roasted beets. I also love beets with oranges, so the addition of an orange is brilliant in my book. You’re totally right! Although I will say, the orange never gives it THAT much juice but yea I think it’s definitely more like braising especially with the foil over it!! 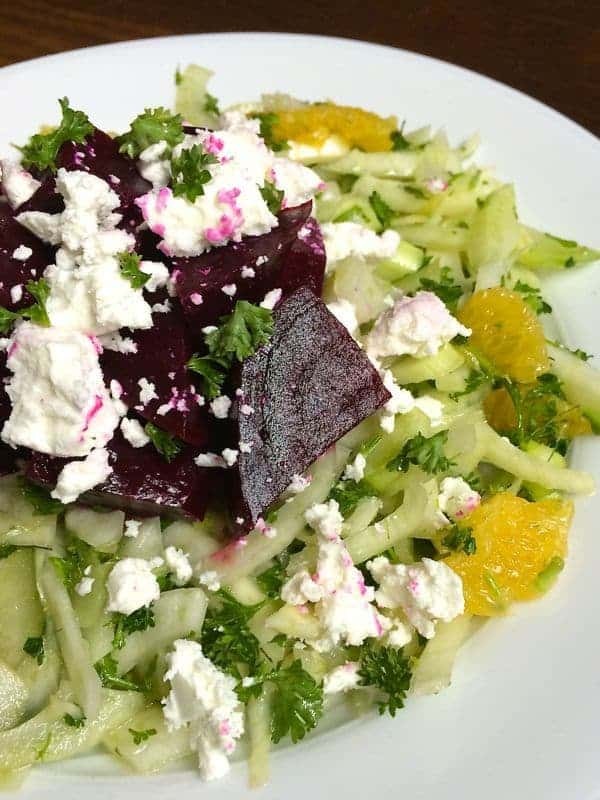 Beets and citrus are a match made in heaven — thanks for the shout-out! I LOVE beets! My husband says they taste like dirt… but that’s kind of the reason why I love them. GO BEETS! That’s funny I think that’s why I like them too!! Little effort. High flavor. I don’t think it gets much better. Love! 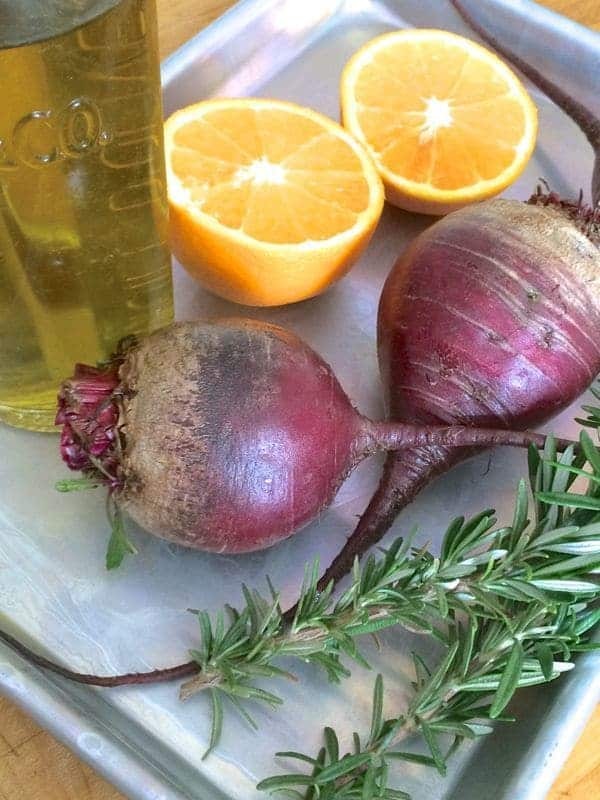 I love beets and the orange and rosemary is a brilliant combo! I love beets! Thanks for sharing. Can’t wait to give this a try. 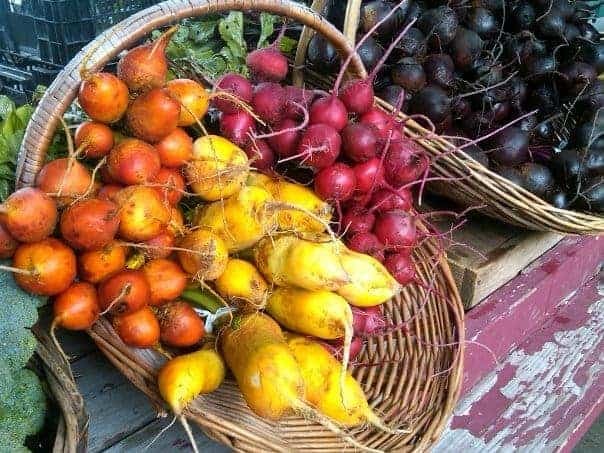 I’m in love with golden and candy cane beets too. 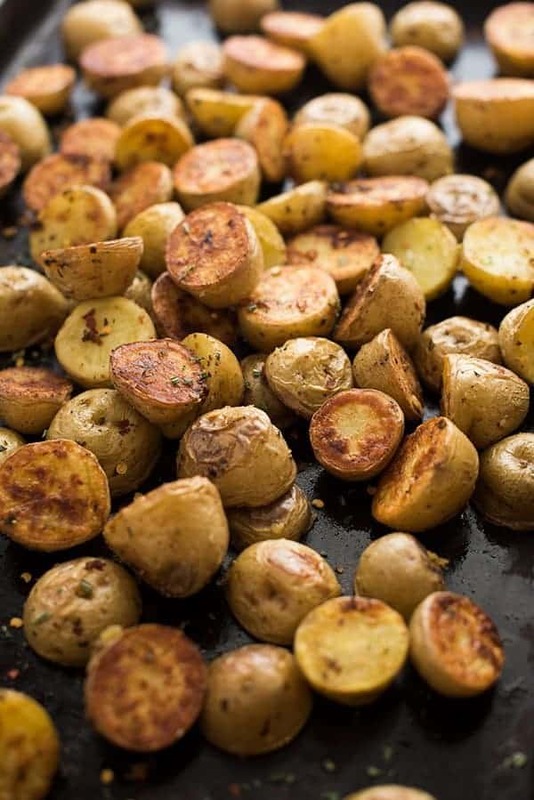 I love roasted vegetables, and this sounds fabulous! Another embarrassing question: how do I insert my picture in my post like everyone else has? Thanks!!! I’ve roasted beets once and love it. Now I want to try this, it sounds delicious. You must try it again! You’d love them! Love any recipe where I can use up rosemary from my garden :-) I grew up disliking beets, but now I can’t get enough of them. 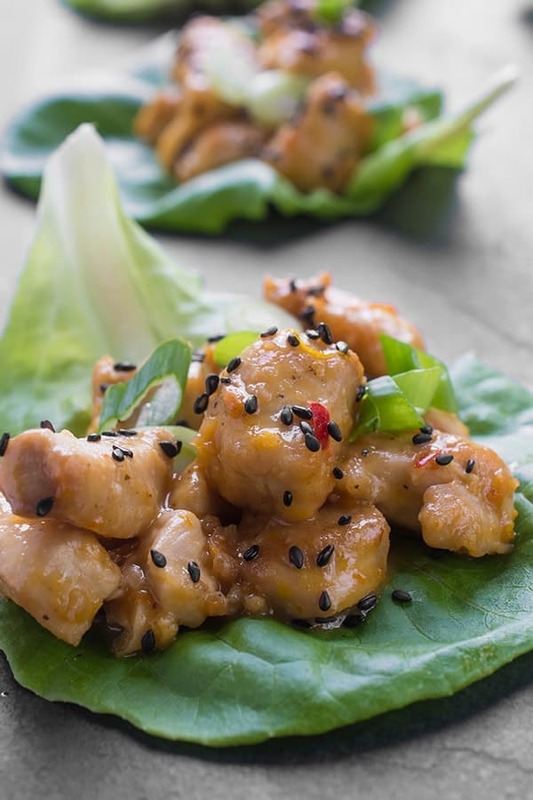 Love the delicious simplicity of this dish! I think every kid hated beets growing up!! Let me know if you try my version!! I was first exposed to beets of the canned variety and it was definitely a bit tragic…I’ve thought I hated them for years and am only now slowly but surely getting into them. Can’t wait to try this roasted beet recipe to aid in the “easing myself in” process. Oh my goodness…cans ARE tragic!!! Dude, I love beets too!!! Oh man and beet chips, pfff don’t even get me started. I love roasted veggies so much and this sounds amazing! Yuuummmmm, these sound delicious! I definitely need to try them with orange and rosemary! Beets are one of my favorite things! My husband wont eat them so I have to eat them all! (not complaining) Love the orange added in! I have always roast them with some olive oil rubbed on them and wrapped in foil, but this way sounds much more yummy!!! Will make them this way next time I pick up beets! Love them in my salad with strawberries! Not everyone in the family eats the beets so was wondering how long, after they have been roasted, can you keep them in the fridge? They keep for up to 5 days!! I’m the only one who ate them but that was by choice – I didn’t want to share – lol. I LOVE beets!!! I put them in everything and roast a few to have for the week. Do you eat the beet greens? They are wonderful sauteed with garlic! I need to roast them every week. I’m seriously obsessed. 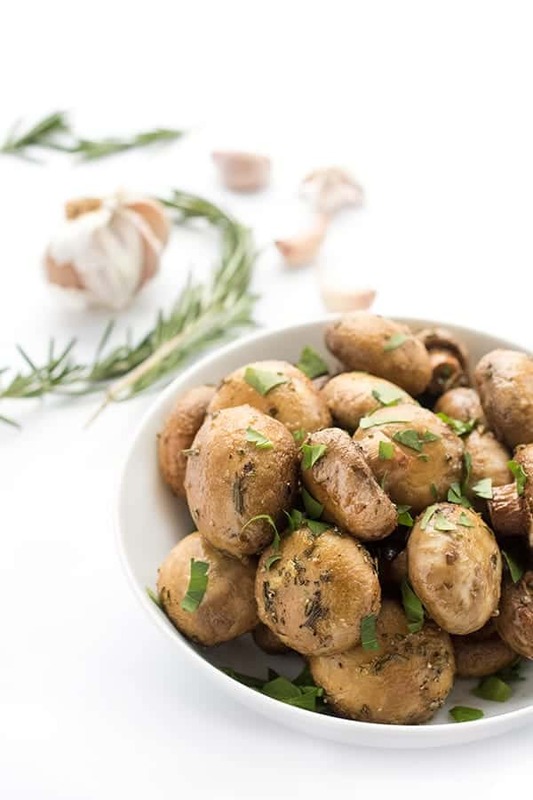 LOVE that sautéing idea with garlic!!! Beets are the best. Really. They so are. I’m glad you’re on #TeamBeets! I love me some beets and with rosemary? Even better! So much flavor Maria – I bet you would love these! Hope you’re feeling good! I have a love hate relationship with beets. I’ve always loathed them but lately I’m trying to give them a second shot. Please give them a second shot!! Oooo, I love beets! I’m lazy and get the ones already ready in the produce section, but I’ll try doing my own with your recipe! So healthy and so good :) Happy Monday! Once you make your own you will be blown away!! SO much more flavor! Let me know if you try them! You would love these girl!! Hi Liz! I love roasted beets. Thanks for including my recipe in your post! Happy Monday! This is embarrassing..I’ve only eaten beets once in my life, when I made them my tagine. BUT, they were delicious! I love roasted anything, so this a definite must try! Not embarrassing at all!!! So many people are afraid to make beets!